What types of deliverables will be needed? What skillsets and quantity of resources are needed? Early project planning brings relevant issues, points of disagreement, assumptions, and risks to the table in order that they be resolved immediately. Because plans are established early on in the project, the project manager will face many unknowns and must deal with them accordingly. These assumptions are always documented as part of the plan. Later on, as the assumptions are resolved, the plan can be modified appropriately. Planning relies on three critical elements: (1) good input, (2) good planning, and (3) proper allocation of needed resources. For the project manager, planning is about deciding which activities have to take place and when, as well as allocating resources to allow the meeting of deadlines. Can you imagine a project being planned without any prior specifications and blueprints? I think not! For over ten years, I have worked in IT project management on different types of IT projects. During that time, I developed many different planning methods and techniques that contributed to the success of a project. I have also seen many project managers dive straight into the development phase, developing software or products, without the appropriate planning in place. When the project ran into problems, it was often too late to turn back, and these projects often failed in some way. In cases where no planning was done, it became extremely difficult to reverse such a situation. It is essential that a considerable amount of time be spent planning a project. It is extremely likely that the project manager will be required to double-check the project planning in order to reflect last-minute changes and unforeseen circumstances taking shape on the project. A project manager can quickly determine how difficult a task he or she will face based on the results of the initial planning. 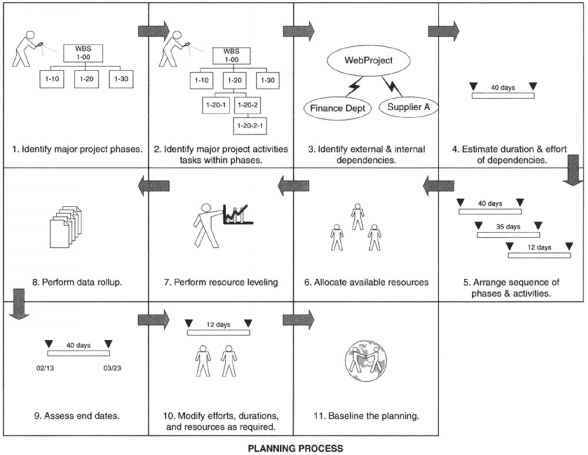 Figure 5.1 illustrates a basic planning process. 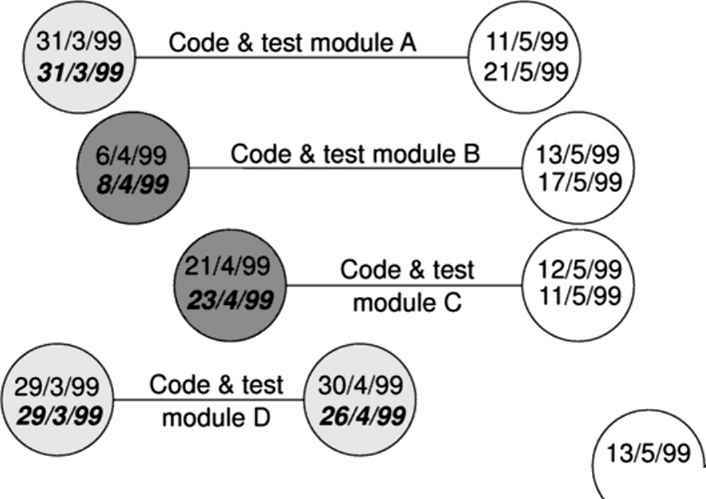 Any project being planned at this stage needs to be clearly identified and allocated a unique name (e.g., Project Aspen) or a sequential tracking number (e.g., P15724) by which all stakeholders can identify and reference the particular project. The main reason for giving the project an identifier is to ensure that any related project costs (in whichever project phase) are clearly carried against that specific project. Could you imagine the effort involved in trying to explain to a finance department which costs should be carried against? I doubt this would be an easy task for any project manager or administrator. The benefit of being able to track a project is clearly evident. It aids not only communication, but also auditing and archiving. Let's assume that a particular project is one of many being managed for a certain client. Each year, this client is required to undergo a financial auditing process. When a discrepancy is discovered on a specific cost item, neither the auditors nor the client are able to trace the item to the correct project. This makes a complex and time-consuming administrative burden for all involved. To this end, assigning a name to a project is advised for any project manager.